Nature’s Revenge: Eco-Horror in Film | Warped Factor - Words in the Key of Geek. From Godzilla to global warming, Maria Jasmine picks five of the best eco-horror films that hit very close to home. Few film genres are as creepy and terrifying as eco-horror, a combination of horror and sci-fi often served with a side of dystopia or climate fiction. Environmental-related scary movies imagine the possibilities of nature truly going wild and taking revenge on her abusers. Here are five eco-horror films that will have you thinking long after the credits roll. This classic Japanese film isn't just a movie about a big, scary lizard. Godzilla is actually about how the actions of humans - namely underwater hydrogen bomb testing - prompted a monster to come out of the depths of the sea and go on a rampage. Had people left well enough alone, Odo Island, nearly 20 ships, a slew of livestock, and Tokyo never would've been bothered by the beast of legend. Tomoyuki Tanaka, the producer of Godzilla, aimed for the film to be a striking metaphor about the threats of a nuclear holocaust, as the movie's release came after the infamous bombings of Hiroshima and Nagasaki. 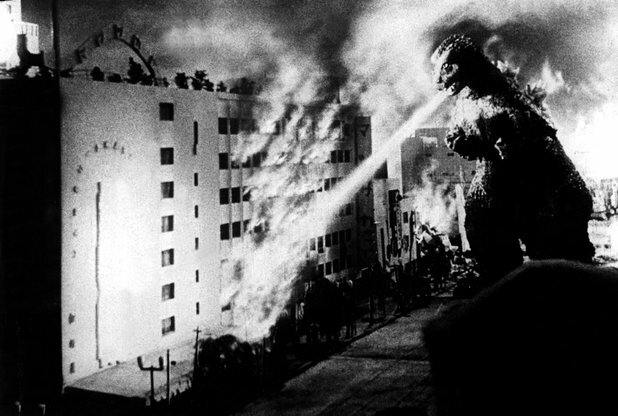 Godzilla makes it clear that the destruction wrought by nuclear weapons is always far worse than any supposed benefits that may come from their use. It took a second go-round for this cult favorite to catch on, but The Toxic Avenger is a genius mix of comedy and eco-horror. Mark Torgl stars as Melvin Ferd, a once-scrawny nerd who is turned into a hideously grotesque crime fighter after falling in a tub of toxic waste. During his crusade, Melvin keeps a cop from getting castrated, thwarts an attack on a blind woman - with whom he develops a relationship - and saves a young girl from being trafficked. Melvin and his mop are simply awesome. He's a champion of the people, and proof that perpetrators of environmental negligence and political corruption typically get their comeuppance one way or another. 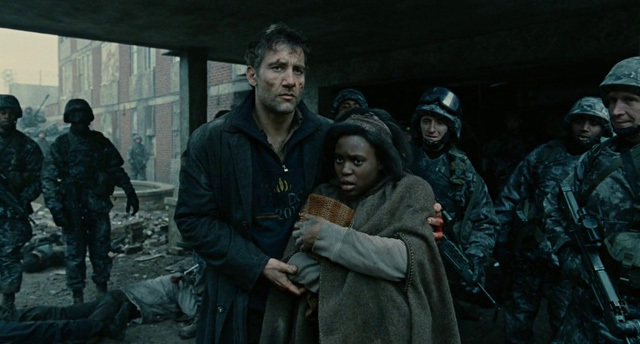 Children of Men, which is based on P.D. 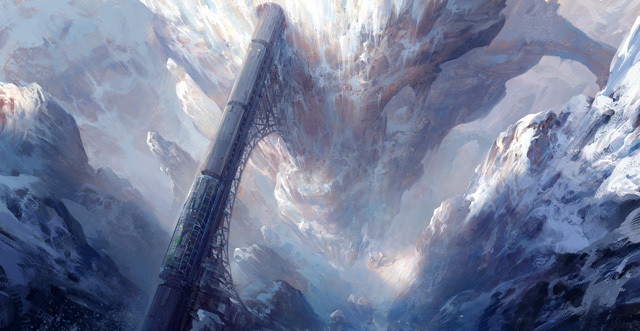 James' novel of the same name, reveals a future with a world so badly damaged that nations have broken down and people have been infertile for nearly two decades. Clive Owen plays Theo Faron, who works with his estranged wife Julian, played by Julianne Moore, to protect one of the few women left on Earth who is able to give birth. As they work to get the woman, Kee, and her unborn child to safety, it is revealed just how sick and deplorable their society has become. The powerful themes and imagery in Children of Men make it a film that's very hard to forget. What's the one thing that usually makes environmental disasters far worse? Inept politicians. Specifically, inept politicians who think that ignoring serious problems will make them eventually go away. In The Bay, Frank Deal plays Mayor Stockman, who decides to do nothing about his town's toxic water levels because he doesn't want to make anyone panic. Mayor Stockman should've just hired a clean-up crew and put out a press release, because the townspeople did more than panic after the toxic water unleashed a parasitic epidemic. Terrible decision, but a very entertaining movie. Snowpiercer stars Chris Evans in the role of Curtis, a passenger on a train that speeds around the world, keeping what's left of humanity alive and "safe" from the frozen world outside of it. Along with a startling message, the film has plenty of action - just try to look away as Curtis leads an epic clash-of-the-classes that spans several sections of the train. Snowpiercer shows corruption, steep class division, addictions, excess, and - worst of all - it rings true in so many ways. In the end, no one wins because environmental catastrophes are brutal, devastating, and something we should all work to avoid. Eco-horror films can, and should, be used to spur audiences to act and do their part in protecting our world. Although the vast majority of our energy consumption comes from fossil fuels, a number of companies and small business have been making use of renewable energy and more sustainable resources such as solar, wind and hydro power. The type of eco-horror show that over-consumption of fossil fuels will ultimately create remains to be seen, but one thing is for sure: if we all continue to watch and wait or speed up the decline we're on, humanity will dig itself into a seriously deep hole.